There are many types of Fayetteville concrete services that you may need but only one name to trust in to take care of this work for you. 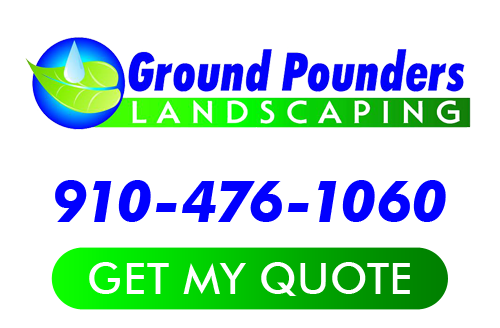 By teaming up with Ground Pounders Landscaping, you can rest assured that you are getting the finest in superior quality work, no matter what type of work that may be. The important thing is to not take chances when it comes to the level of quality work that goes into whatever project you have that needs taken care of. Too many homeowners settle for inferior workmanship in an attempt to save a few dollars. The problem is that hiring someone who provides you with shoddy work for a lower price means you will still have to hire us to come out and fix the work that as done. We take all the work that we do seriously and that is evident in the results that we deliver for every customer, every time. We never aim to just meet your expectations, we always strive to exceed them, so call today to find out more about what we can do for you. There are plenty of tasks that could possibly need to be addressed when it comes to concrete service work. We employ the utmost professionalism in order to create results that are built to last. We want the work we do to be able to withstand the tests or time so that you can get years, if not decades, of use from what we provide for you. Since 2007, we have been the name that residential and commercial customers in the Fayetteville and surrounding areas have come to rely on. 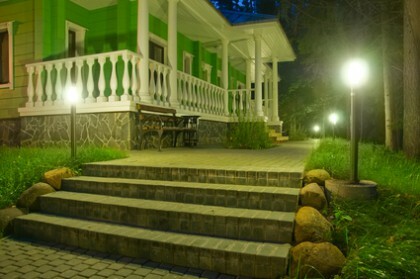 We have come to be known as the trusted experts for all things related to outdoor environment enhancements, and for good reason. We make it a point to provide each client with the level of expertise needed to feel confident about the work and the end results. By working with our Fayetteville landscaping company, you know that you are in good hands and that you will never have to settle for less than 100% customer satisfaction. If your to-do list includes any of the services we offer, why not let us execute these tasks with expert precision. The last thing that you need is to settle for less than superior workmanship, so give our team of experts here at Ground Pounders Landscaping a call in order to take care of your Fayetteville concrete services. You can finally feel good about getting the finest in high quality work, all you have to do is give us a call, right now. If you are looking for Fayetteville Concrete Services then please call 910-476-1060 or complete our online request form.